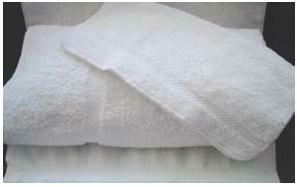 Soft and Absorbent Cotton towels. This is an excellent choice for upscale properties. Very soft and durable with a nice dobby border.